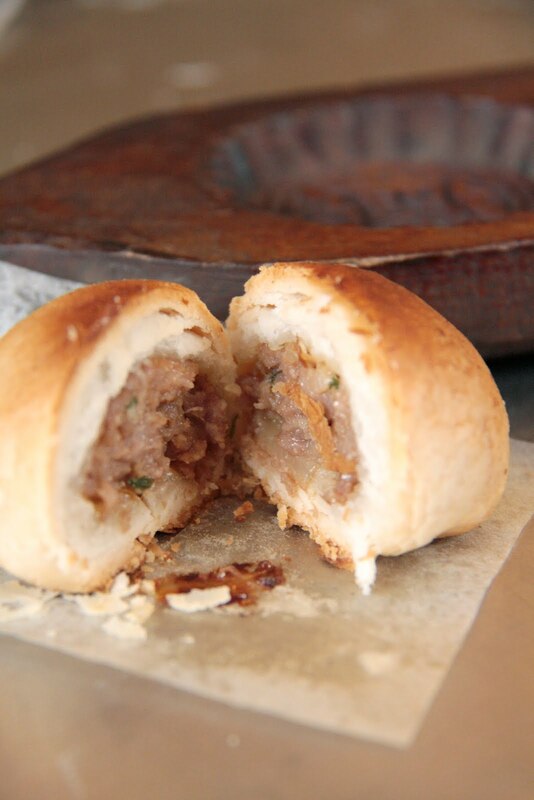 Is it possible for a mooncake to taste any good? My experience of mooncakes is limited to the ones I was given at last year's Mid-Autumn Festival - more effort had gone into the boxes than the cakes, whose fillings were dry, unidentifiable, or just plain revolting. Salted duck yolk with green tea anyone? 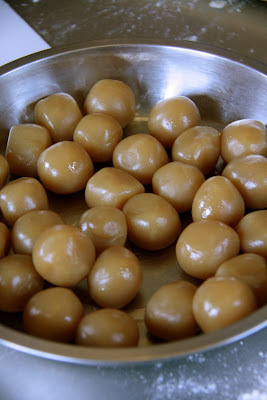 How about white lotus with melon seeds, or red bean paste with olive kernel? Intriguing as these may sound, the taste leaves a lot to be desired. 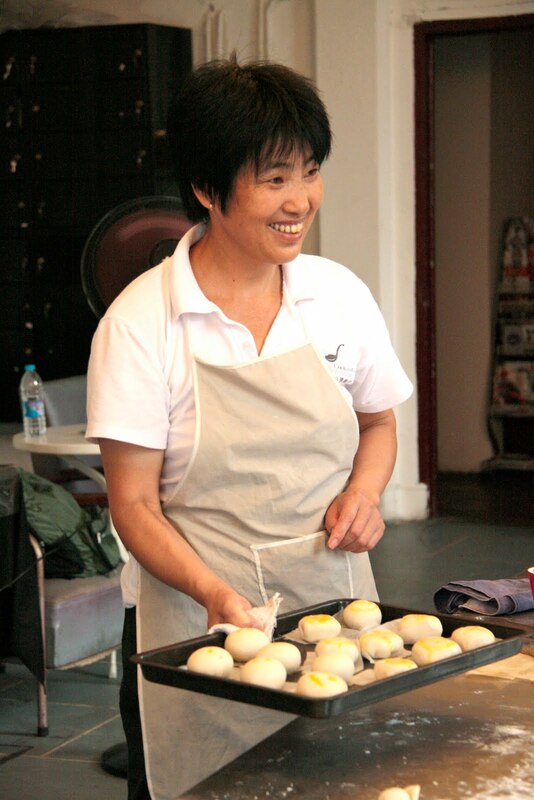 So when I heard that The Chinese Cooking Workshop on Weihai Lu was offering a special class in home-style moon cakes, in preparation for next month's festival, I signed up straight away. No-one makes mooncakes at home anymore, because they're fiddly, and you need an oven - but Chef Guo is a woman who never lets anything stand in the way of a good dumpling, and she taught me how to make the trickiest dumpling of all time, xiaolongbao, so I knew that mooncakes would be a doddle for her. The fluted, highly patterned mooncakes sold in the shops are Cantonese style, she told me. The ones she plans to teach us to make will be Suzhou style, very rustic and homely. Our classroom...and six enthusiastic students..
We start with the pastry. 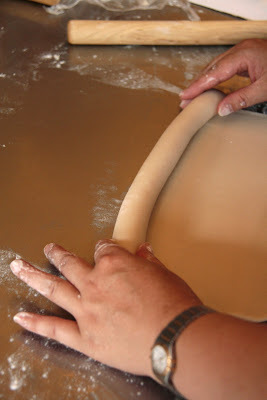 It's like old-fashioned lard pastry. To make 8 mooncakes: 120g of wheat flour, 45g of pork lard, a teaspoon of maltose syrup, and enough hot water to make a soft dough. Knead for 10 minutes. 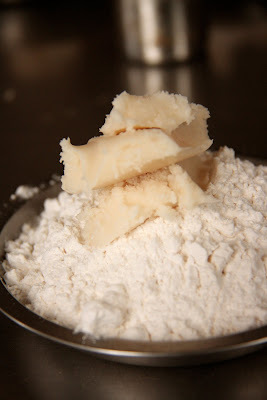 Then make a second dough from only flour (80g) and lard (50g), no water, and knead it well. 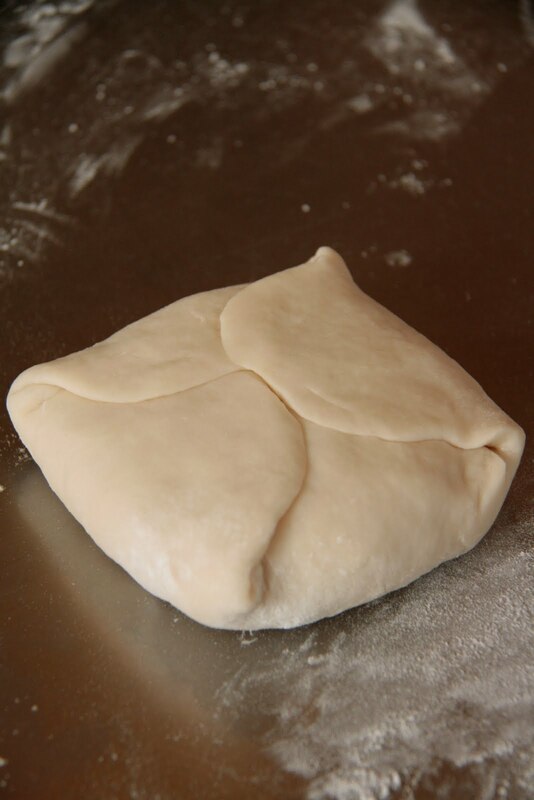 Roll the first dough into a square shape. Place the second, waterless dough in the centre. 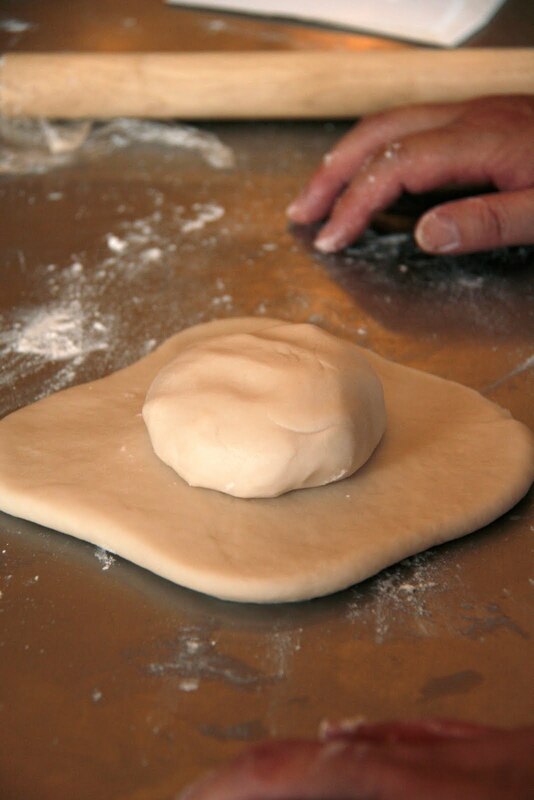 Fold the edges over the dough ball to make a square packet. Now roll onto a rectangle about 15cm by 25cm, and fold each end of the rectangle into the middle, like folding a letter into thirds. 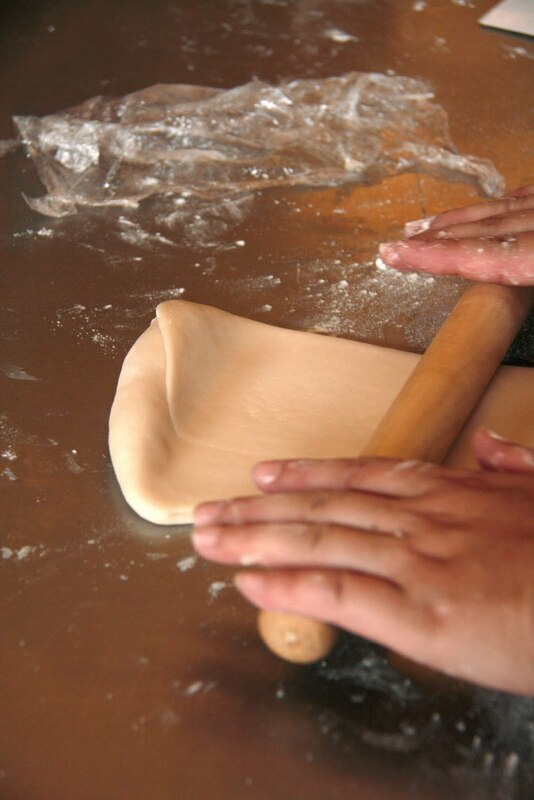 The folding is what helps establish the flaky layers of the pastry. Now roll this rectangle into a large square, about 25cm across. Roll up the square into a cylinder. Cut or tear the cylinder into 8 equal pieces. Take each piece and roll it into a rough disc, 10cm across. Now for the filling - we used three different kinds - red bean paste, shown here, lotus seed paste, shown below, and a savoury pork mixture. Seasoned pork mixture - 1tsp each of salt, sugar, sesame oil, light soy, dark soy, rice wine, finely chopped shallot and finely chopped ginger mixed with 100g of fatty minced pork. Whichever filling you use, roll it into a small ball and place in the centre of the pastry disc. 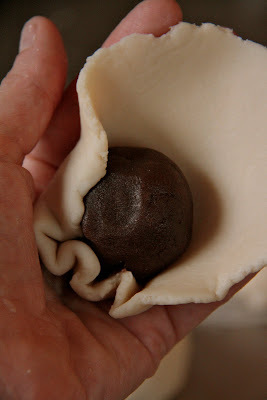 Now fold the pastry edges around the ball and pinch together so it is completely sealed. Gently roll it to return it to ball shape. The sealed side goes underneath and the top should look smooth and rounded. The lotus paste, rolled ready for use. 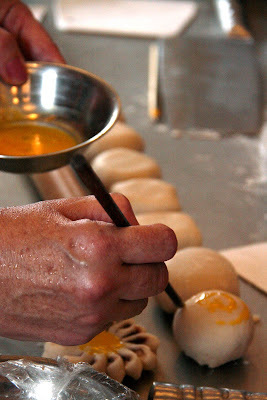 Use a chopstick and beaten egg yolk to mark the top of the mooncake so that you know which ones have which filling. 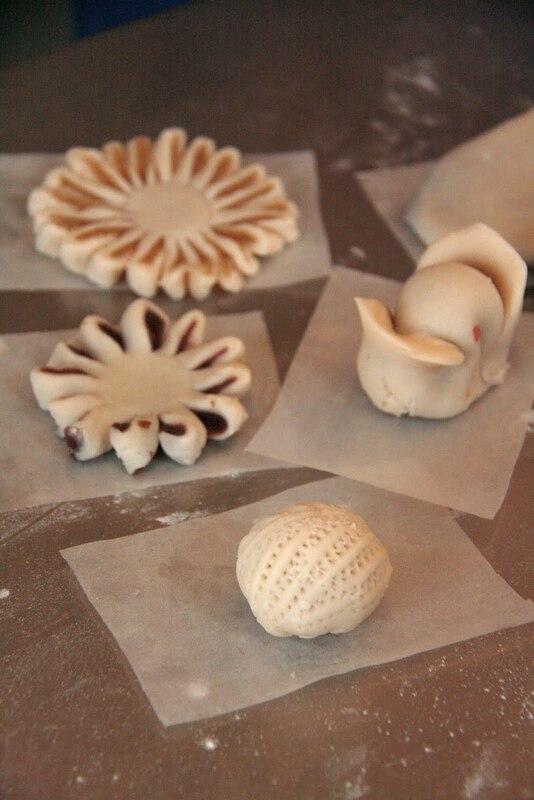 One dot for pork, two dots for red bean paste, and skull and crossbones for lotus paste. We made some novelty shapes with the leftover dough - flowers, a walnut, and a money bag. 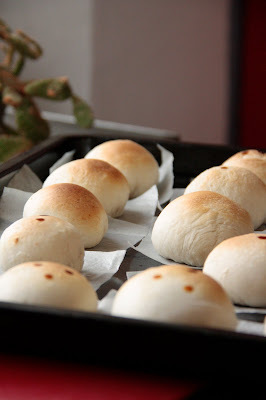 Ayi prepares to put them in the oven. 220 degrees C for 20 minutes. Fresh out of the oven.....piping hot. The egg dots have turned dark brown. Chef Guo has a taste. Her verdict? 'Hao chi!' (Chinese for 'I'm surprised these taste so good!') I liked the savoury ones the best - a little like a reaaly good home-made sausage roll. The lotus paste is rather bland and gluey, and is saved only by eating it fresh from the oven. The red bean paste is surprisingly good, but again needs to be eaten warm to minimise it's glueyness. 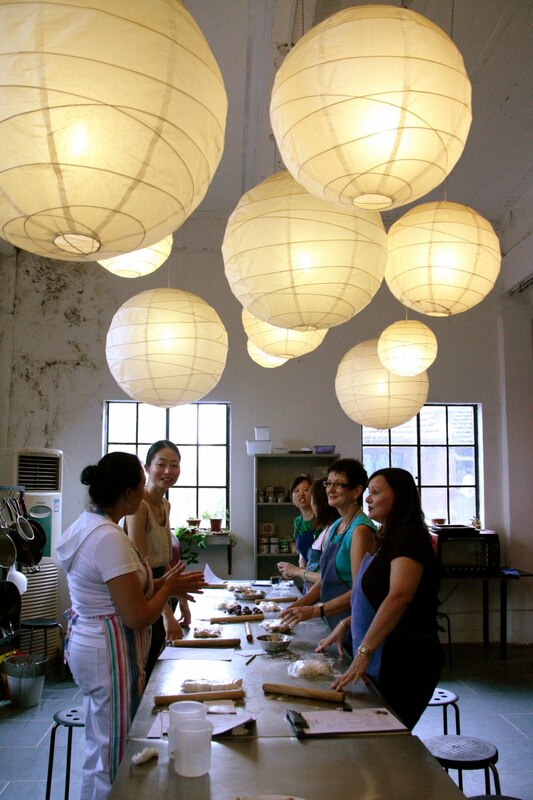 The Chinese Cooking Workshop in the French Concession runs about ten bilingual classes every week in both dumplings and wok cooking. Highly recommended.